Quest Therapeutic Services strongly believes in empowering parents and caregivers to play an active role in setting goals for their children and regularly participating in their child’s therapy. Our therapy services and programs are provided on a weekly basis within a playful atmosphere, as well as in public schools, children that are home schooled, and in other community sites. Our Early Intervention Program supports children and their families through coordinated multidisciplinary care that involves combinations of physical, occupational, and speech therapy, as well as specialized instructors. We are dedicated to providing effective and comprehensive evaluation, ongoing assessment, and the most current therapeutic strategies to children ages birth to young adult with neuromuscular impairments, developmental delays, sensory issues, or language impairments. At Quest Therapeutic Services, we infuse our extensive physical, occupational, and speech therapy expertise into a unique form of treatment called hippotherapy or Equine-Assisted Therapy. 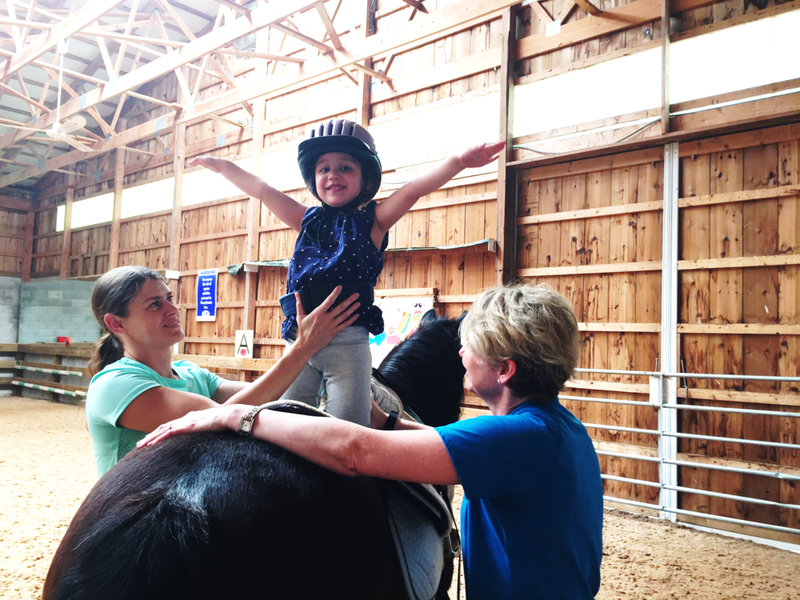 This type of therapy uses our well-trained horses as part of an overall treatment program to improve your child’s gross motor, fine motor, and communication skills. Our staff is dedicated to building a relationship with each child and their family to instill trust and confidence. Caregivers are encouraged to be involved throughout their child's treatment, from assessments and partaking in our individualized treatment programs, to continuing the therapy at home. Ongoing guidance and support is provided by our certified therapists, who draw upon their extensive training and experience in speciality areas to provide imaginative activities for your child. Please call us at 610-692-6362 to learn more!